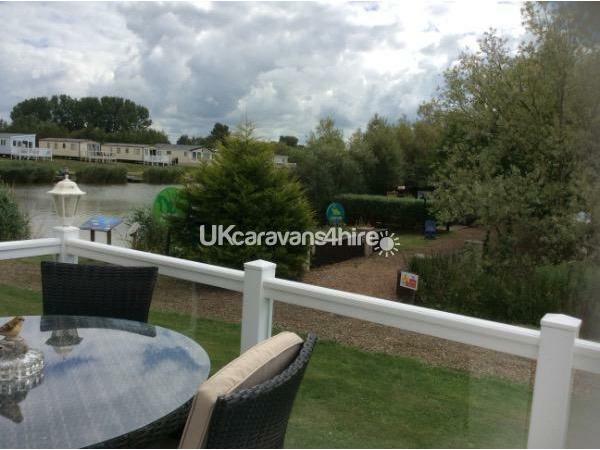 Additional Info: PEMBERTON KNIGHTSBRIDGE LUXURY CARAVAN WITH A FANTASTIC VIEW OF THE FISHING LAKE. 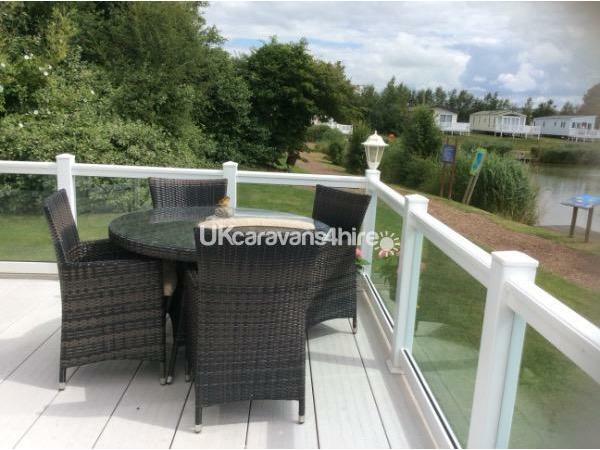 WRAP AROUND DECKING AND PRIVATE PARKING PLACE. A DEPOSIT TO SECURE THE WEEK/BREAK OF £50 IS REQUIRED ON BOOKING. FULL BALANCE TO BE PAID 4 WEEKS BEFORE STAY. A REFUNDABLE SECURITY BOND OF £100 IS REQUIRED WITH THE FINAL BALANCE. 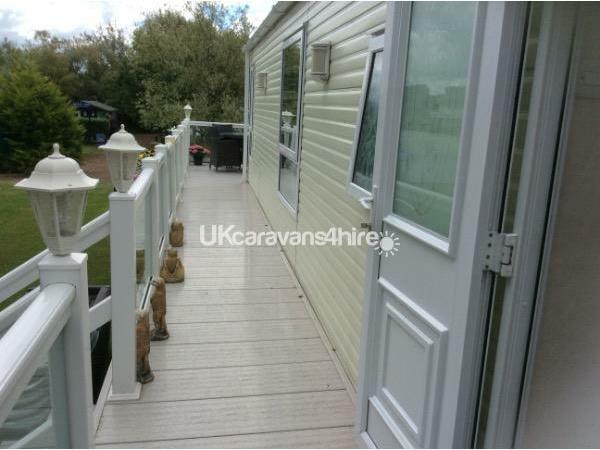 Really lovely luxury caravan which has 2 bedrooms. Double glazing and central heating. We offer our beautiful luxury caravan to you and your family with all the home comforts you need for a lovely relaxing holiday!! 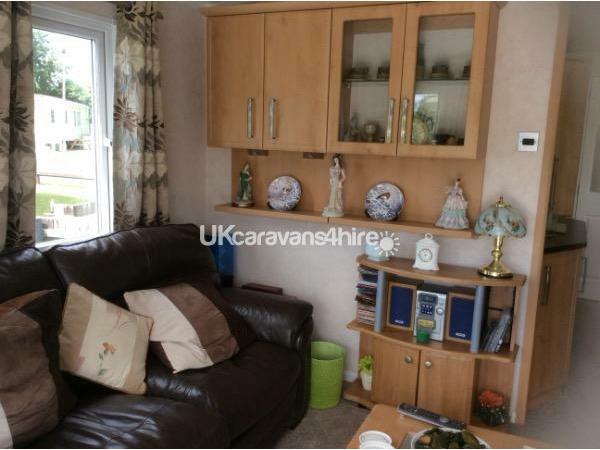 Nice sized family lounge area with nice display shelving which has tasteful ornaments. 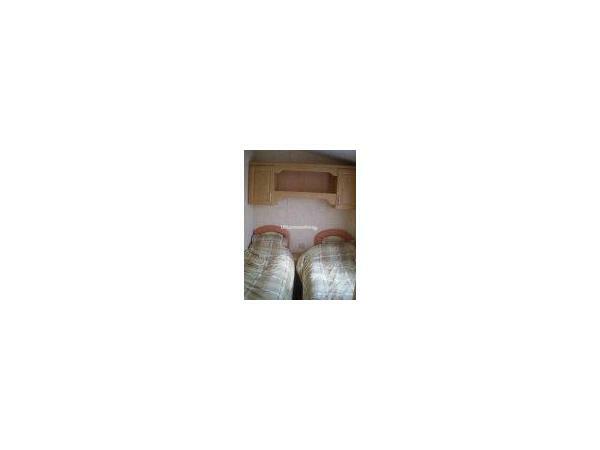 Very comfortable luxury leather 3 piece suite. Coffee table. Feature fireplace . Radiators to all rooms. Family dining area with dining table and chairs. Lovely kitchen area which is very well laid out. Large fridge with freezer. Full size gas oven/hob/grill. 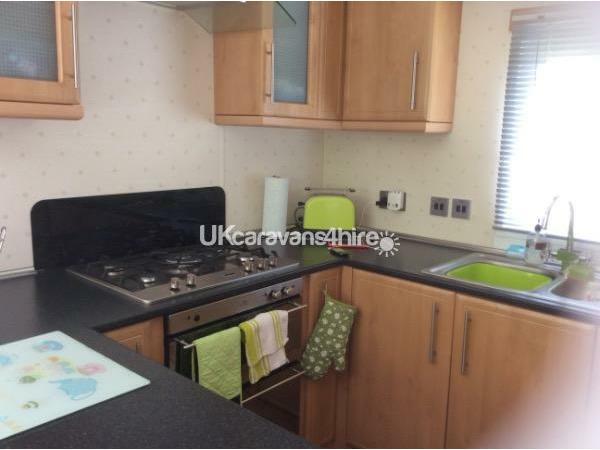 Microwave, toaster, kettle and all the cooking utensils you need to cater for dining in. If you prefer not to cook, then there are plenty of places on-site to dine from the mash and barrel restaurant, haven or papa john's pizzas!! Lots of places to eat out in Burnham On Sea or order a take-away and take a break from cooking maybe!! 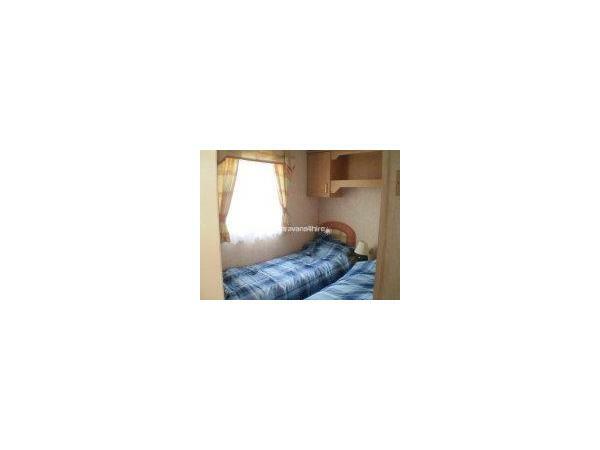 Double bedroom which is a very good size with ensuite full sized bath and shower over. Double bed with mir storage over. Walk in wardrobes.dressing table area. Bedroom 2 has 2 twin beds with storage over and wardrobe. Bathroom with small bath and shower. 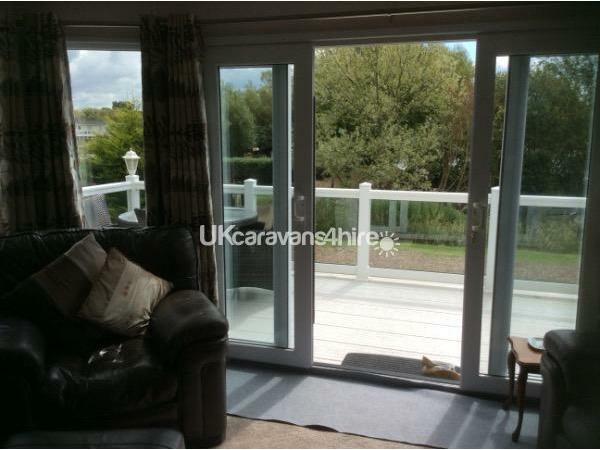 Large decking area with clear panels to maximise the wonderful views of the main fishing lake. comfortable seating around the patio table/parasol. £50 deposit will secure your holiday with full balance due 3 weeks before holiday. We also ask a £100 security deposit bond against any losses/damages/heavy cleaning.this is refunded fully to you on no damages etc. Found at time after vacation. Wanted a weekend away mainly to go fishing and could not believe it when we found this caravan. As you can see from the pictures it is actually a stone's throw away from the lake. 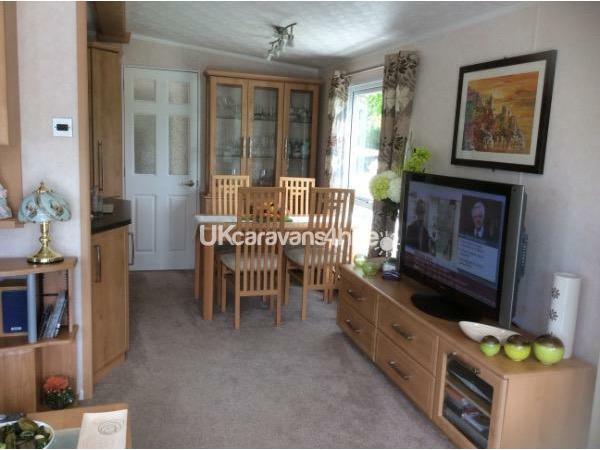 The caravan was absolutely superb inside and out. Will definitely book it again. 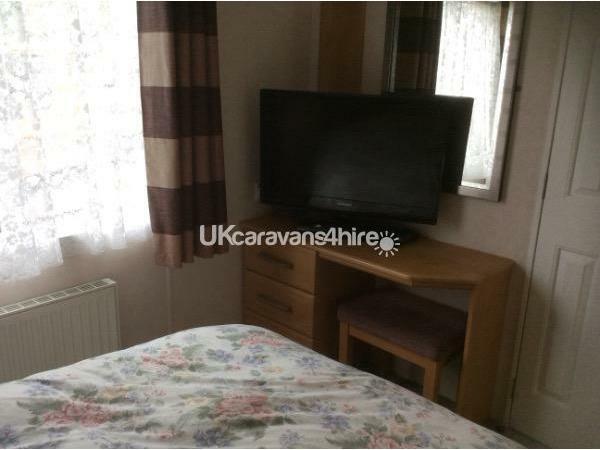 Booking it was really easy just click on visit owners website and you will be directed to Caravan Angel and book it through them. One nice surprise when we arrived was to find 2 park passes that were left for us by the owners to use. 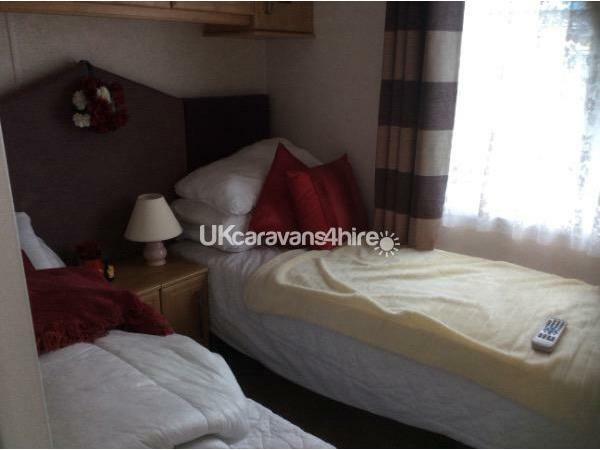 So a big thank you to the owners and to Carole at Caravan Angel who arranged the booking.